Despite the growing trend of augmented reality, many people still wonder what superimposition means and how this technology actually augments our reality. Probably you have tried some mobile apps based on augmented reality (AR) like IKEA Place, but not sure how all the magic happens on a screen of your smartphone? What are the other technologies AR relies on? Keep reading to sort things out. Computer-generated content – any content in the form of graphics, image, video, animation, or three-dimensional objects generated by software. Virtual reality – an immersive technology, which replaces real-world environment with the virtual one using special hardware like VR glasses. ARCore – an augmented reality API tool for developers created by Google. ARKit – another augmented reality API tool for developers built by Apple. GPS – The Global Positioning System, which can track the location of any device enabled with this technology. Gyroscope – a device aimed at determining the orientation and angular velocity. Accelerometer – a device that measures changes in the gravitational acceleration. QR-code – a machine-readable label that contains some data like a link or digital trigger. AR is a technology that augments physical environments on a mobile device screen by overlaying them with digital content. When it comes to the difference between virtual and augmented reality, these are completely different technologies. Unlike VR, AR is based on a footprint of a real surrounding and it only adds additional computer-generated data like animation or three-dimensional objects to it instead of replacing the virtual one. With the growth in the number of smart mobile devices and the continuous improvement of their capabilities, augmented reality has penetrated a number of aspects of human life. This has become an interactive concept that affects how we buy or study. To superimpose digital information, AR applications can use different methods like connecting computer-generated content to ‘markers’ or determining the point where to add data with GPS. Furthermore, the immersive technology implies overlaying additional content in real-time and within the context of the surrounding, for example, superimposing a copper cask with explanations of how coffee beans are roasted as it happens in the Starbucks’ Roastery AR app. An AR solution captures a part of the environment using a camera on a smartphone, tablet, or head-mounted display (HMD). Then it scans the captured piece of the environment to identify a point where to overlay additional information using markers or trackers like infrared, laser, GPS, or sensors. As soon as this point is determined, an augmented reality solution requests predefined content to overlay further an environmental footprint with additional information. Once the necessary content is requested, the solution forms a complete image consisting of the real-world background and overlaid AR data. Regardless of the fact that the augmented reality relates to the expansion of the physical environments with overlaid information, there is a number of ways to implement this concept. When choosing between approaches, augmented reality developers take into account the pros and cons of each of them, as well as requirements of the final project. Let’s look closer at each approach. SLAM stands for simultaneous localization and mapping technology. It is based on a set of complex algorithms and data received from sensors. So, SLAM maps unknown environments and determines its localization simultaneously. However, SLAM has some of the drawbacks for augmented reality companies. As it’s one of the most advanced technologies to enable augmented reality, it has high requirements for hardware components. In addition, SLAM-based apps require a predefined map in order to properly place virtual 3D objects. SLAM allows computers to understand what is around them using point-based detection of surrounding objects. This approach is a key driver of such innovations as autonomous vehicles, robots, and drones. Augmented reality that relies on markers is the most widespread approach to the immersive technology implementation. Marker-based AR or image recognition uses a mobile device camera to detect a predefined marker that then triggers a certain computer-generated content. Markers can be AR-codes, physical objects, or printed images as it appears in the Absolut Vodka Augmented Reality app. To enable the AR app to recognize a real-world object as a trigger, a certain marker should be embedded into this object. Since AR-codes are much easier to recognize for both cameras and users, this type of marker is greatly used by augmented reality programmers. As soon as a marker appears within a camera scene, the software calculates the position of both a marker and displayed content. Therefore, a change of the real-world object position will influence the position of the computer-generated content. The better an app can determine certain physical objects, the more accurate the disposition of the overlaid digital information will be. To determine where to place additional digital information, position-based AR apps rely on GPS data, mobile device built-in compass, accelerometer, and gyroscope. It is also known as location/position-based augmented reality. To enable an app to display properly computer-generated information, the latter has to contain a data-based trigger, for instance, geolocation. Thus, location-based AR applications link their content to real-world, which falls within the field of view of the camera. For instance, such AR apps can tell users more about a restaurant situated on a certain street. When pointing a camera at the restaurant signboard, users can, for example, briefly check their menu or learn working hours. Depending on a used approach behind a certain augmented reality experience, there’s a list of requirements for hardware each augmented reality app development company and their customers should keep in mind. Sensors collect data from the physical environment and then transmit them to an AR app. For instance, a mobile device built-in camera collects data about a user’s surroundings. Software processes received data and then displays predefined content to a user. Smartphones, tablets, or AR smart glasses should be able to access data collected from gyroscope, accelerometer, compass, or GPS. Moreover, to deal with the flow of data from various sensors, a specific device must have a powerful enough central processing unit (CPU), graphics processing unit (GPU), flash memory, and random-access memory (RAM). To provide users with the augmented reality experience, hardware should have enough capability to display additional content. Therefore, a device obviously has to have a high-resolution display. When it comes to projection-based AR solutions, hardware must have a specific projector, instead of a display, to transmit light. After considering hardware requirements, let’s cover existing types of devices that support augmented reality. 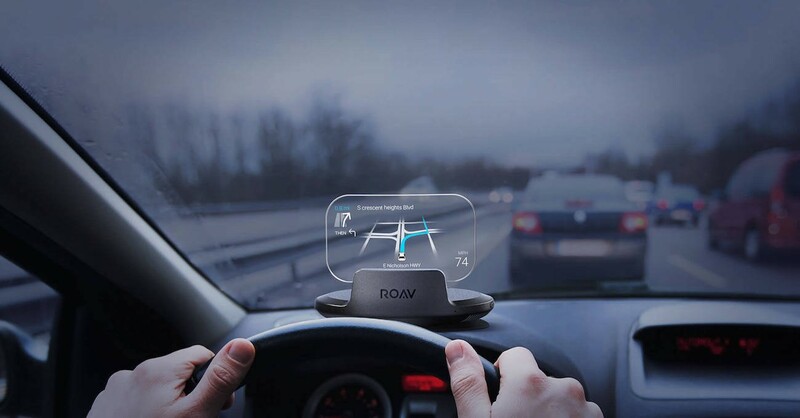 Head-up display, also known as HUD, is a transparent display that shows visual content within the scene of a user viewpoint. These solutions were originally developed for pilot training to help them learn how to fight in the air. Over the time, HUDs found their application in civil aviation, automotive, and other industries. Their technology stack includes a projector, which transmits an image onto a display, combiner for capturing projected light, and video processor to generate visual data. 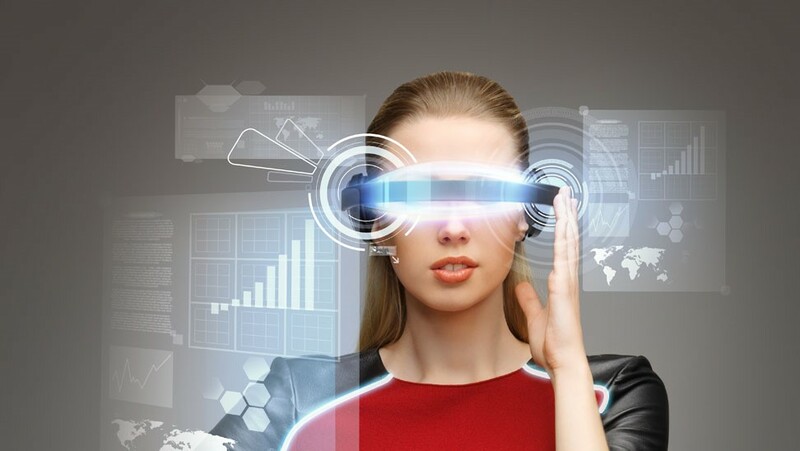 AR smart glasses are a wearable transparent device that generates AR content within the scene of the user’s viewpoint. When wearing such glasses, users can see their physical surrounding in the same way as in the case of traditional glasses. However, AR smart glasses like Google Glass superimpose additional content to whatever users see. AR smart lenses are a relatively new concept. In fact, this is an advanced version of smart glasses. 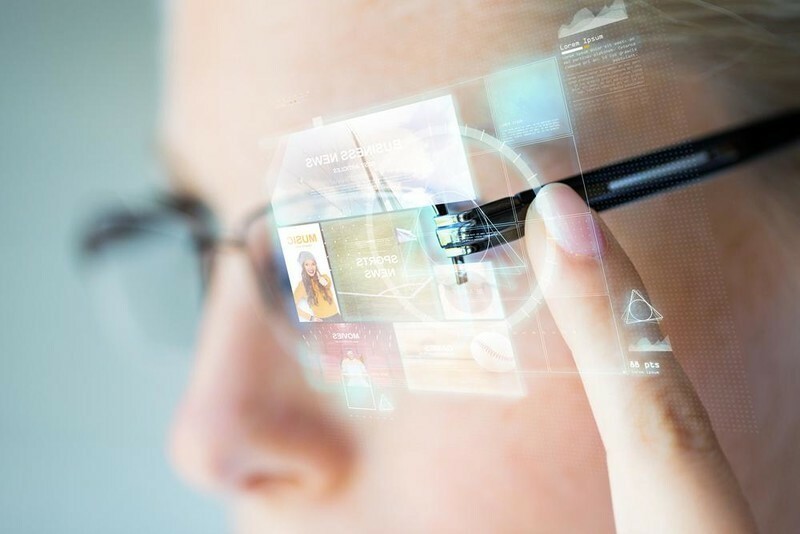 Unlike smart glasses, users wear AR lenses the same way they wear dioptric contact lenses. For instance, Samsung has a patent of smart lenses with a built-in camera and sensors controlled by blinking. This technology stack superimposes additional content to whatever a wearer sees. Virtual retinal displays (VRDs) visually look similar to VR glasses. However, unlike VR glasses, VRDs have no displays at all. Instead, they project AR content right on the user’s retina. Apart from being heavy, these devices don’t make users try to focus on an image which appears close to their eyes. Instead, users can relax their eyes and let a VRD do its magic. 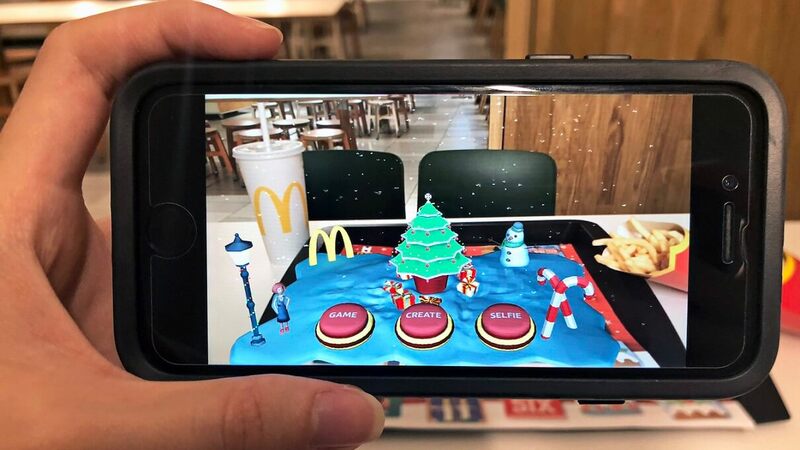 Before the release of official software development kits (SDKs) from Apple and Google, developers had to use either tools from third-party vendors or build AR apps from scratch. The latter option requires a lot of time for AR development that often leads to a high augmented reality app development cost. In addition, there used to be a high-end platform for AR app development called Google Tango. 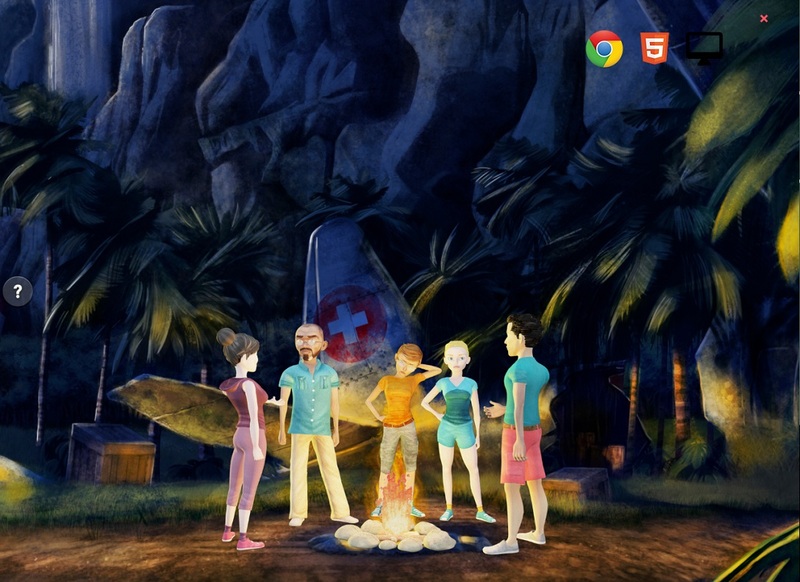 Google no more supports this augmented reality platform because it had a serious drawback. Only several Android-based mobile devices like Asus ZenFone AR supported augmented reality apps. Everything has been dramatically changed with a release of ARKit and ARCore from Apple and Google. These SDKs allow developers to quickly and easily create augmented reality apps for iOS- or Android-based mobile devices accordingly. ARCore and ARKit have specific differences that make sense only for an augmented reality developer. For many users, their variety can remain behind the scenes. 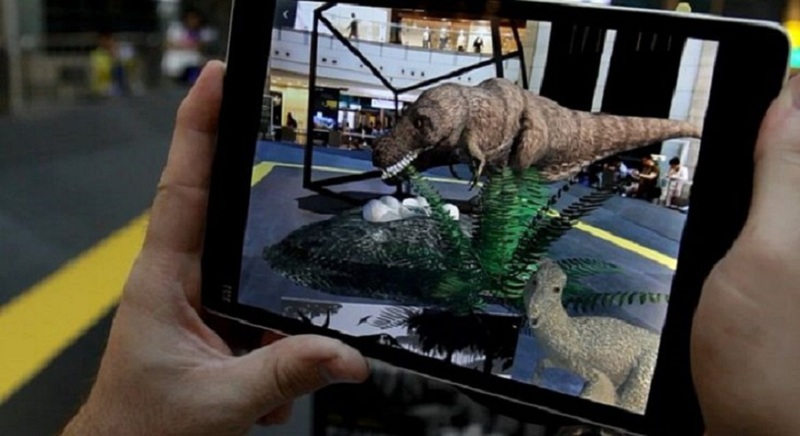 Augmented reality became well known due to the gaming industry. After the release of an AR mobile game called Pokemon Go, this immersive technology went far from just entertainment. The logistics industry has been widely using the capabilities of augmented reality in various business processes including both smart warehouse and supply chain management. The augmented reality now significantly impacts the digital transformation process of the whole sector across the globe. Companies start implementing immersive technology to optimize their everyday tasks. For instance, DHL uses AR smart glasses to improve employees’ vision picking when performing warehouse operations. For instance, this tool shows workers a virtual picking list and provides them with the most convenient route to a necessary item thus allowing them to optimize their travel time. In addition, once a worker is at the right place, smart glasses help him or her quickly find a certain package on the shelf through barcode scanning. Insurers mainly use augmented reality to provide their clients with interactive user experience and increase customer engagement as well as entertain them. However, AR use cases in insurance are limited to the above-mentioned. Insurance companies also use immersive technology to warn their customers about potential dangers, estimate caused damage, and explain available insurance plans. Because of its capability to improve customer experience, augmented reality also proved to be an effective marketing and brand promotion tool for this industry. The augmented reality technology is capable of bringing corporate training to the next level by enabling employees to get accurate data in a revolutionized form. With AR smart glasses or head-mounted displays, specialists can test their skills in action without any risk to damage corporate property or make a mistake that can lead to financial losses. Moreover, junior workers can get real-time assistance, which is especially useful for special occasions or unexpected issues. 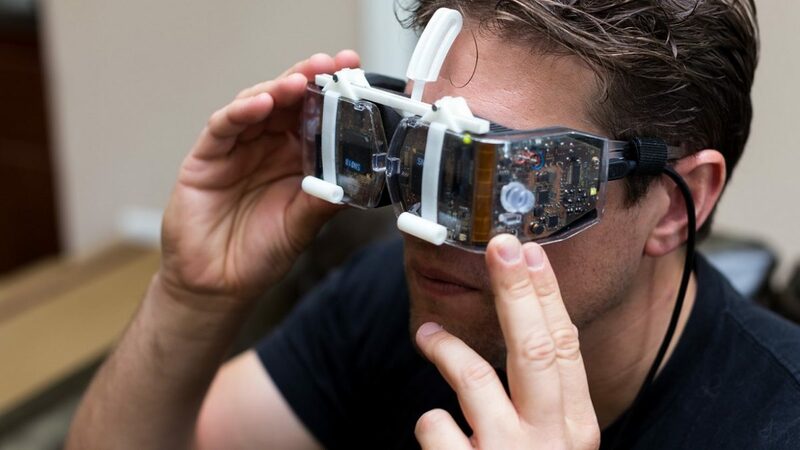 It becomes possible with the use of so-called See-What-I-See (SWIS) smart glasses. They enable remote experts to see other worker’s surrounding and efficiently provide qualified tips. 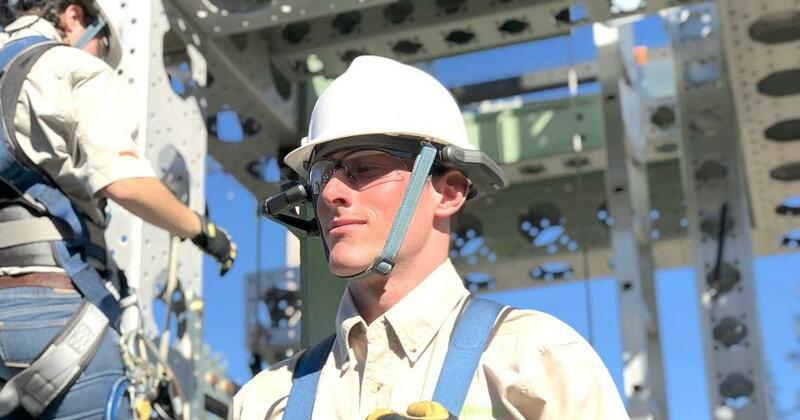 Augmented reality also helps engineers and other technical specialists to perform complex operations using a digital checklist or manual in a hands-free manner. Augmented reality has significant advantages for both ecommerce and bricks-and-mortar stores. AR technology nearly wipes off the main drawback of online stores – the inability of customers to interact with an item they consider buying. At the same time, augmented reality enables offline stores to provide their visitors with a much deeper shopping experience than ever before. For instance, with AR solutions, customers can more efficiently navigate through the store aisles in search of a certain shelf with a necessary product. In addition, with AR, offline store visitors no longer need to change the same clothes type to find out which item color they like the most. Instead, they can take only one item on, point a smartphone built-in camera at it, and see how it would look in another color. Furthermore, customers can pick a preferred color, pay for clothes they’ve chosen, and order a last-mile delivery without the need for leaving an app or communicating with a seller. Augmented reality can be a highly efficient tool for surgeons and other medical specialists. AR technology simplifies intervention planning tasks by showing medical staff real-time data like ultrasound or computed tomography. AR smart glasses can provide surgeons with vital patient health information in the form of three-dimensional objects while enabling the medical specialists to use their both hands without the need for searching necessary data during the intervention. Furthermore, AR allows surgeons to involve their experienced colleagues in the operation process even if the latter are situated in another place of the world. It minimizes the error-rate and helps surgeons save more lives. Above, we have listed only a few industries where augmented reality has a significant impact. However, much more sectors have started adopting this immersive technology to benefit from its capabilities. While small and medium companies hesitate to invest in AR technology, many huge enterprises like DHL and BMW have already been experimenting with it to differ from their competitors and cut a bigger piece of the market pie. In a few years, we will definitely see many other businesses implementing augmented reality for use cases we have never thought of. Our professional team will be glad to advise you on how to use augmented reality effectively in your business. So, please feel free to contact us.